Come learn about TVCR’s Construction and Demolition Waste Sorting Rebates available to the public for the 2019 building season. You’ll find out what materials are sorted for reuse at the Transfer Station and why it is so important to reduce our landfill liability. If you are remodeling or building in 2019, you might be eligible for cash reimbursements and free waste disposal services to help establish waste sorting at your job site. We’re hoping to support established local contractors and Do-It-Yourself builders. Whether you use RAD Curbside services or self haul your waste to the Transfer Station, you can realize dramatic cost savings on your garbage bill by sorting your waste. Representatives from Teton County Board of Commissioners, Teton County Public Works, Teton County Solid Waste and Recycling, RAD Curbside, and Teton Valley Community Recycling will be present to answer your questions and share information about this exciting Idaho DEQ grant opportunity for Teton County! All members of the public, especially anyone remodeling or building, are encouraged to attend. PreviousPrevious post:Silver Star Communications’ Focus on Sustainable PracticesNextNext post:New Recycling Education Center in Driggs! 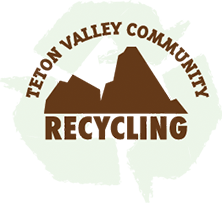 TVCR Awarded $25K DEQ Grant to Support Local Builders, Home Owners – AND the Environment!